The Deputy First Minister announced earlier today that she has instructed that the Edinburgh Tram Inquiry is given additional powers to compel witnesses and production of evidence in the face of ‘lack of cooperation’. 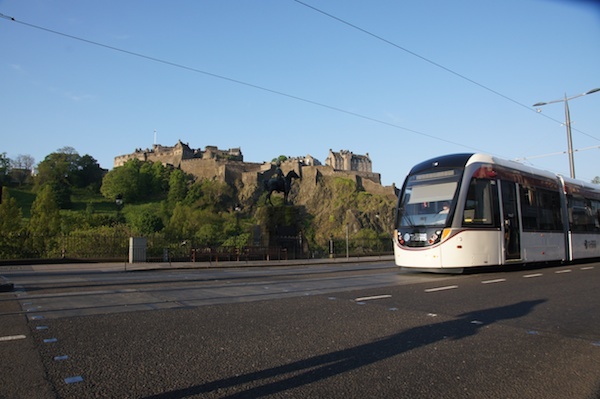 The Edinburgh Tram Inquiry will now convert from a non-statutory to a statutory inquiry. The Deputy First Minister has ordered the conversion under the Inquiries Act 2005 after Lord Hardie advised that the Inquiry is not receiving the participation it requires. “This is great news that the Scottish Government has acted on the advice of Lord Hardie to convert the Edinburgh Tram Enquiry from a non-statutory to statutory status. When the tram inquiry was announced earlier this year it was flagged as an advantage that the format would be non-statutory as this allows evidence to be heard quickly and cost effectively with a view of learning lessons in the future. Other non-statutory inquiries held in the last include those into Holyrood and Mortonhall. Brian Ferguson writing in The Scotsman today explains that Time Out has promoted a ride on a tram as one of the must do activities in Edinburgh.